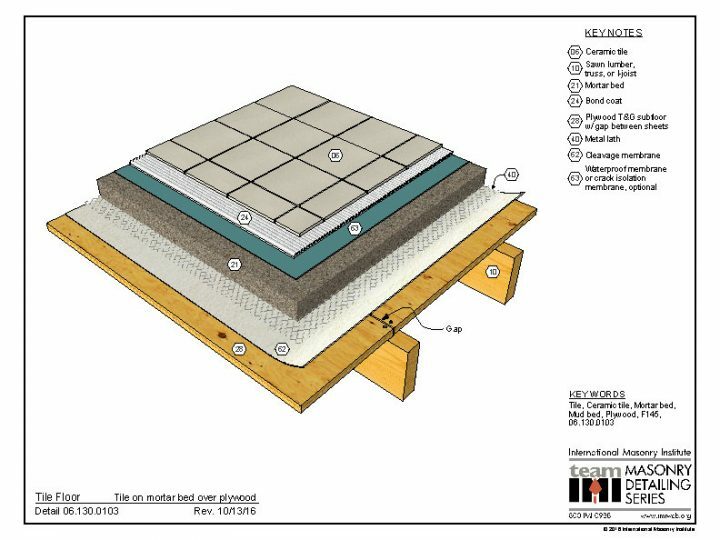 This detail illustrates tile laid on a cured reinforced mortar bed over plywood, with a cleavage membrane separating the tile assembly from the substrate. Waterproof or crack isolation membranes are optional, per design. This detail is based on TCNA Method F145.